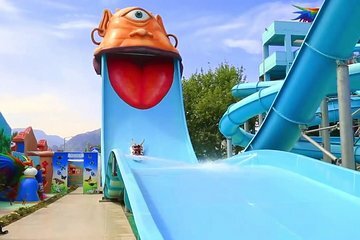 Visit the DoluSu Waterpark with the convenience of a pre-booked admission ticket for a refreshing day of watery fun. Facilities includes a range of water slides from child-friendly to challenging, a wave pool, private beach, and aquarium. Refreshments are available for purchase at the park's bars and restaurants, allowing you to take a break for snacks then return to the attractions.